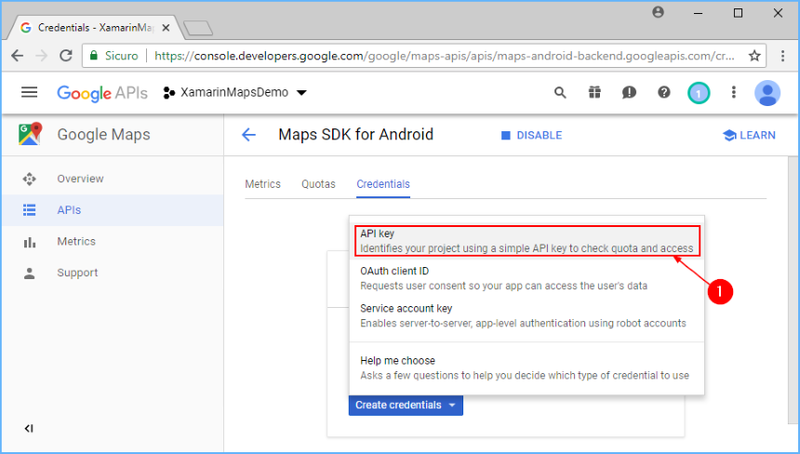 To use the Google Maps functionality in Android, you need to register for a Maps API key with Google. Until you do this, you will just see a blank grid instead of a map in your applications. 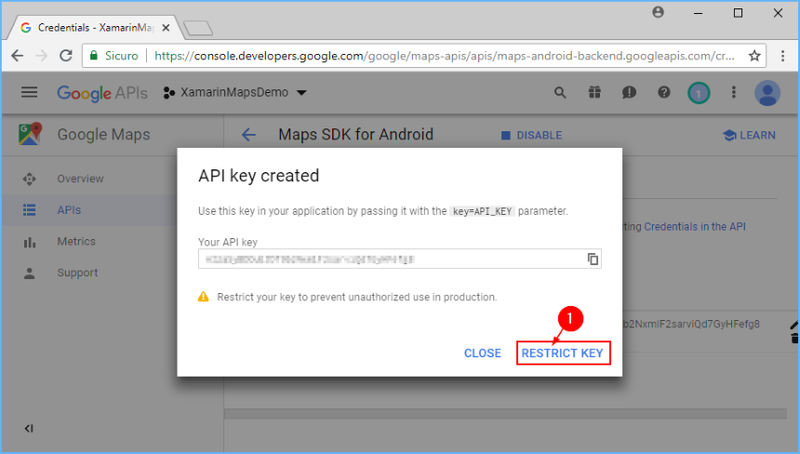 You must obtain a Google Maps Android API v2 key - keys from the older Google Maps Android API key v1 will not work. Retrieve the SHA-1 fingerprint of the keystore that is used to sign the application. 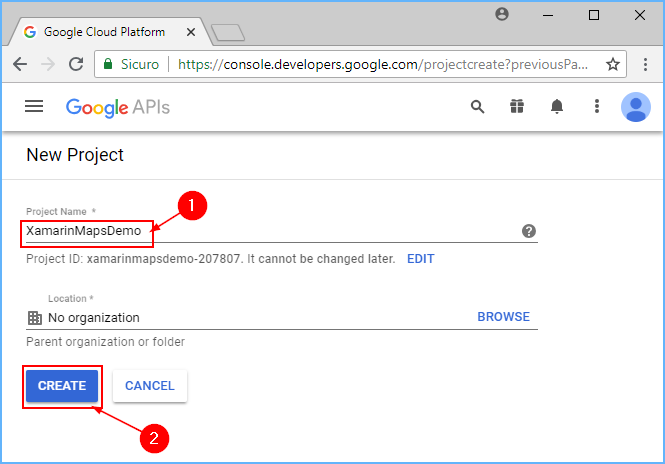 Create a project in the Google APIs console. To request a Maps API key from Google, you need to know the SHA-1 fingerprint of the keystore that is used to sign the application. Typically, this means you will have to determine the SHA-1 fingerprint for the debug keystore, and then the SHA-1 fingerprint for the keystore that is used to sign your application for release. When deploying an app to Google Play, it must be signed with a private key. The keytool will need to be run with the private key details, and the resulting SHA-1 fingerprint used to create a production Google Maps API key. 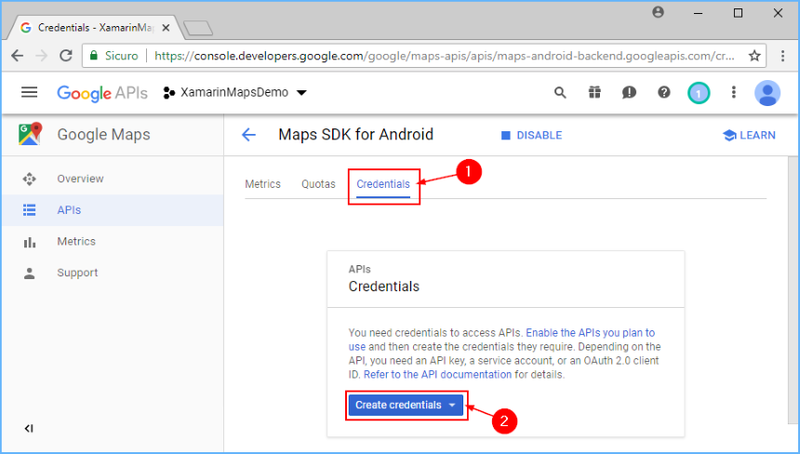 Remember to update the AndroidManifest.xml file with the correct Google Maps API key before deployment. You will use the SHA-1 fingerprint (listed after SHA1) later in this guide. 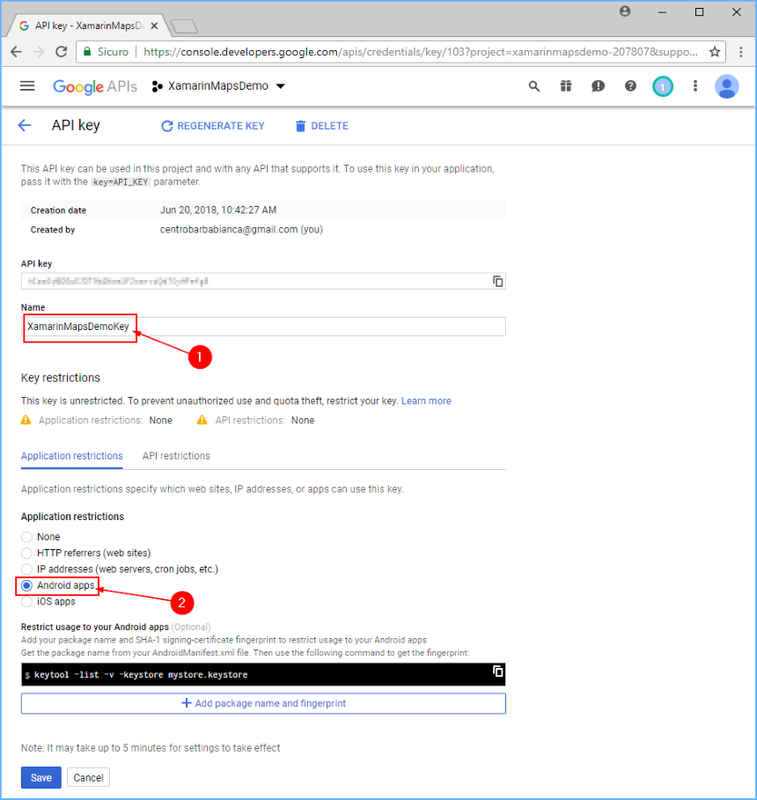 After you have retrieved the SHA-1 fingerprint of the signing keystore, it is necessary to create a new project in the Google APIs console (or add the Google Maps Android API v2 service to an existing project). 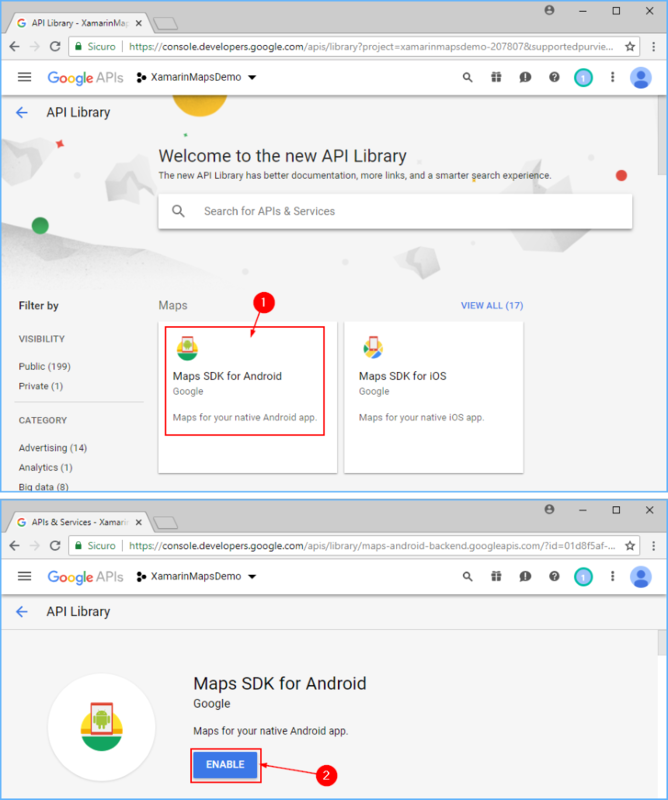 At this point the API project has been created and Google Maps Android API v2 has been added to it. However, you cannot use this API in your project until you create credentials for it. 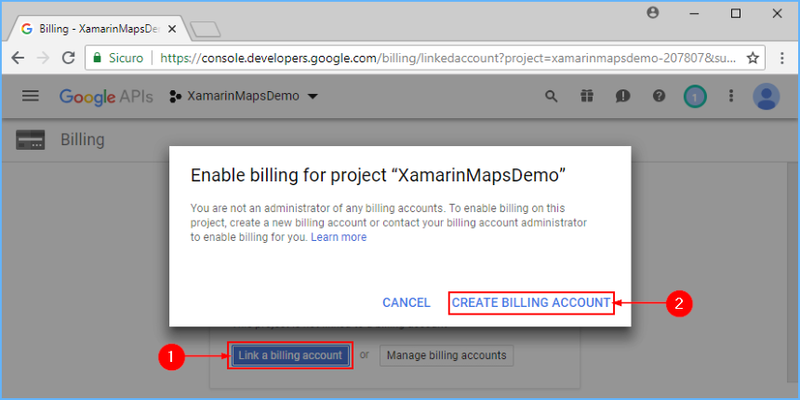 The next section explains how to create an API key and white-list a Xamarin.Android application so that it is authorized to use this key. After the Google Developer Console API project has been created, it is necessary to create an Android API key. 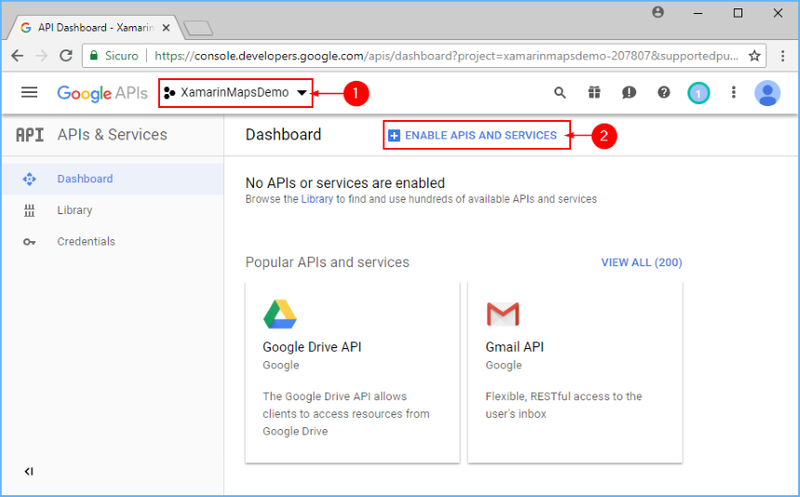 Xamarin.Android applications must have an API key before they are granted access to Android Map API v2. Beginning June,11 2018, the API key will not work if the project is not connected to a billable account (even if the service is still free for mobile apps).